On Saturday, April 6 Rye Town travelled to Hawkhurst for their final match of the season. 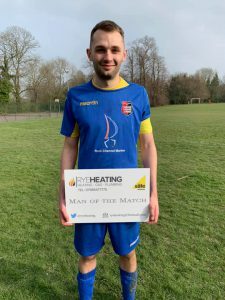 A 0-0 draw gave the two teams a share of the spoils with a point each as Town finished this season’s campaign in sixth position in the East Sussex Premier League. Town’s man of the match award went to Barnaby Osborne and the match sponsor was John Toulson. As Rye finish all their fixtures, the battle to win the league continues with three teams still in the running. 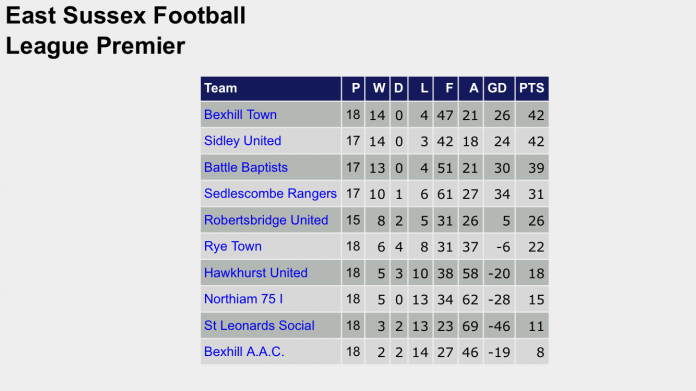 Bexhill Town currently head the table with 42 points having completed all their games. Sidley Utd are in second place on goal difference and have 42 points with one game left to play. Battle Baptists can also pip Bexhill on goal difference if they win their last game, it’s all to play for in this exciting finale to the season. Image Credits: Rye Town FC.